Until now, regular investors have been locked-out of the pre-IPO, multi-billion dollar mobile app and game industry, which is dominated by billionaire investors and venture capital firms. Although there are around 20 publicly traded mobile game companies, there are few if any focused on mobile app and game funding, development, and marketing through partnerships with game developers. This offers regular investors a chance to participate in a huge and rapidly growing industry. Our product focus includes casual games, casino, mobile RPG and winner take all. Mobile gaming will generate $46.1 billion this year, or 42% of all global game revenues. 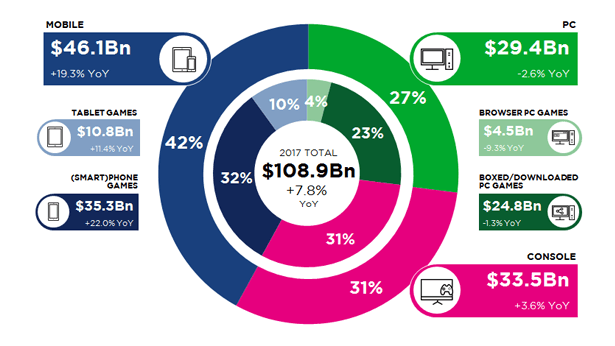 Mobile takes $36.9 billion, up 21.3% globally. 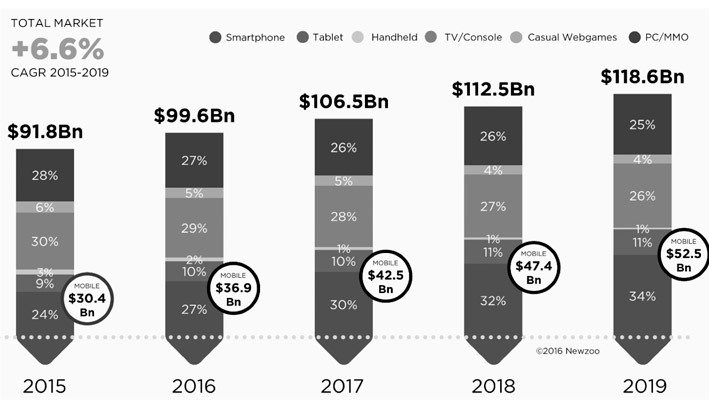 Mobile expected to grow, eventually reaching $52.5 billion in 2019. From 2003 to 2018 mobile CAGR: 31%. We’ve developed a proprietary process we call the “Swarm” which centers on engagement, retention, virality, and monetization. Our Swarm approach provides us 4 synergistic revenue streams that complement our merger and acquisition strategy. 1. Incubation of apps with services that can include; completion of concept and development, market analysis and taking the product to market, business and financial management, direct sales and marketing efforts. Have you invested in any mobile application or technology companies?